Charlotte Lozier Institute | October 5, 2015. On Monday, the Charlotte Lozier Institute released a new video which tells the story of 67-year-old Bill Bourland, who was diagnosed with a life-threatening blood cancer called Myelodysplastic Syndromes (MDS). Thanks to his wife’s determination, a fortuitous meeting with a neighbor, a doctor experienced with adult stem cell treatment, and the generosity of his brother, Bill has received a second chance at life with a clean bill of health. The first sign that Bill had MDS, also called “pre-Leukemia,” was a drastic onset of fatigue. Bill’s wife, Mary, said he would “start laying down in the afternoon and just stay down, for three or four hours or more” – a stark departure from his usual energy level. A trip to the doctor and a blood test confirmed that Bill had MDS, which means that his bone marrow was not producing healthy red and white blood cells or platelets. Bill’s doctor recommended that he undergo blood transfusions as a course of treatment. But after six transfusions and not much progress, the Bourlands started seeking other options. After spending endless hours researching treatment options on her own to no avail, Mary had a chance encounter with new neighbor Tom Nunn that changed everything. Many others like Bill are currently being treated with ethical non-controversial adult stem cell transplants, which do not require the destruction of a human life for the healing of another. In fact, over 1 million patients have already been treated with hematopoietic adult stem cells alone. As Bill Bourland’s story captures so well, however, many more people could benefit from adult stem cell transplants if they only knew about the possibilities. 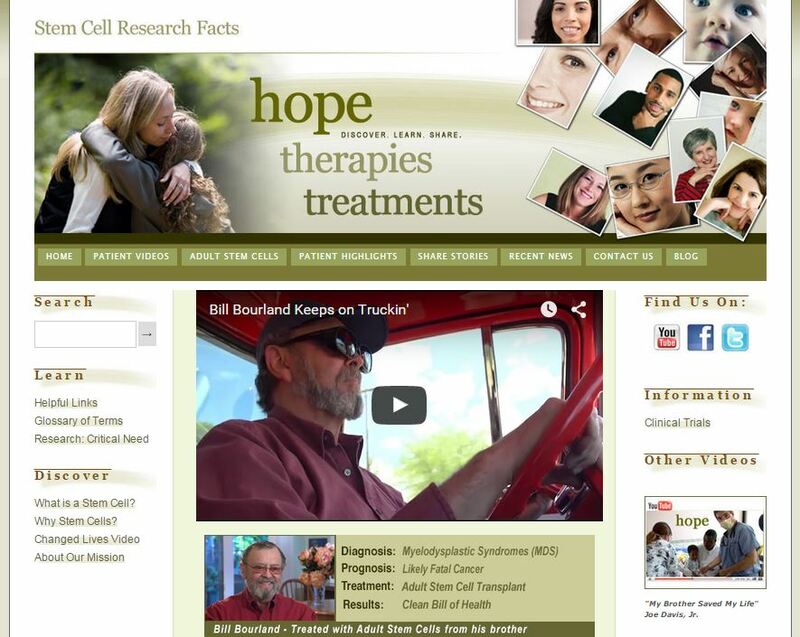 The Charlotte Lozier Institute began supporting Stem Cell Research Facts in January, and plans to continue sponsoring inspiring videos like Bill’s to raise awareness about the life-saving, research-based, and ethical option of adult stem cell treatment.